Despite of limited historical record of quakes in the UAE, the types of...installations and buildings are vulnerable to potential risks of potentially violent tremors from seismic sources nearby or far. - H.E. Musabbah Mubarak Al Murar, Acting General Manager of Abu Dhabi City Municipality. ADNOCHeadquartersinstrumented with state‐of‐the‐art Structural Health Monitoring (SHM) Systems. 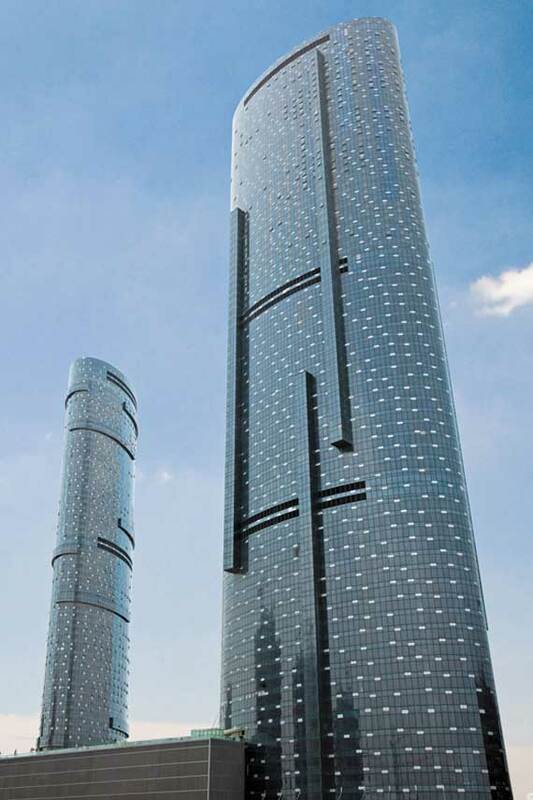 Image courtesy of CTBUH. 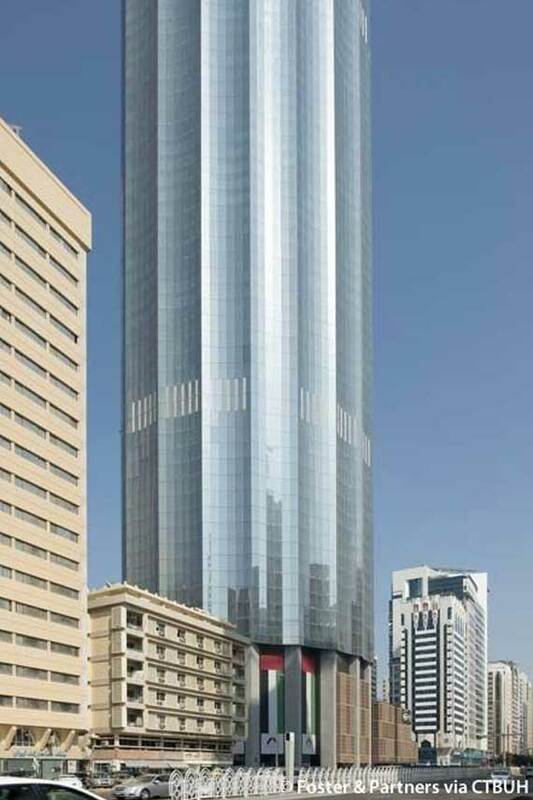 Sky Towerinstrumented with state‐of‐the‐art Structural Health Monitoring (SHM) Systems. Image courtesy of CTBUH. 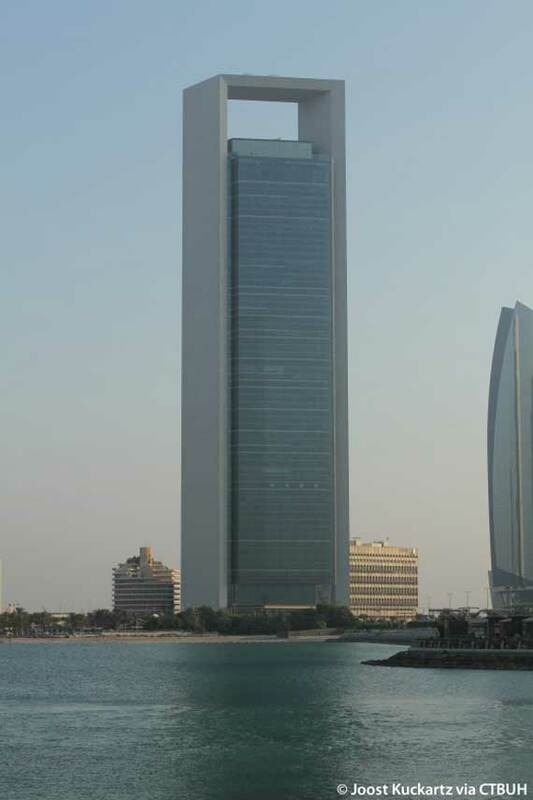 World Trade Center Abu Dhabiinstrumented with state‐of‐the‐art Structural Health Monitoring (SHM) Systems. Image courtesy of CTBUH. 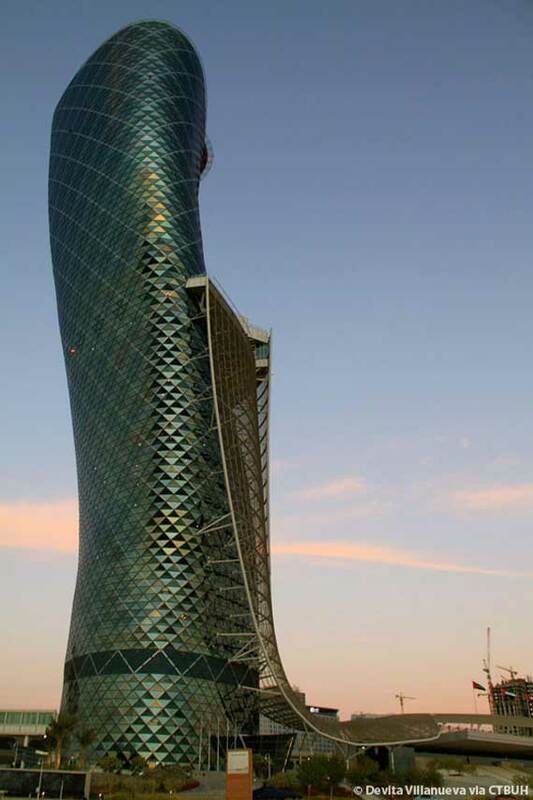 Capital Gate Towerinstrumented with state‐of‐the‐art Structural Health Monitoring (SHM) Systems. mage courtesy of CTBUH. Over the years the United Arab Emirates has witnessed almost unsurpassed development and prosperity. The Abu Dhabi City Municipality’s priority is to create an ideal living environment for city residents, with unmatched quality of life and modern amenities. The Abu Dhabi City Municipality is a founding member of the General Secretariat of UAE Municipalities, a member of the Arab Towns Organization, and the Organization of Islamic Cities. Develop a state-of-the-art system that assesses, monitors, and mitigates the seismic hazard and risk of the Emirate of Abu Dhabi. Provided a Real‐Time Seismic Monitoring and Management Center that is shared by five government entities namely the Abu Dhabi City Municipality, Western Region Municipality, Al Ain City Municipality, General HQ of Abu Dhabi Police, and the National Centre of Meteorology and Seismology. Supported the National Centre of Meteorology and Seismology by offering additional information gathered from newly built observation stations in the Emirate. Supported the General HQ of Abu Dhabi Police by offering real-time seismic information. Supported the United Arab Emirates University by constructing an alternative center for the Seismic Risks Monitoring and Management System at the campus for training, development and grooming of Emirati cadres. Learn more about our environmental monitoring software by downloading the Antelope datasheet.